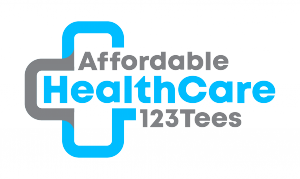 SACRAMENTO, CALIFORNIA, USA, January 11, 2019 /EINPresswire.com/ — The online apparel company, Affordable HealthCare 123 Tees, has just launched their new website, giving them a platform to further pursue their goal of affordable healthcare. The company seeks to do so by selling shirts with a number of messages about healthcare so that people can wear the information on their sleeve; however, the company also donates 10% of every order to advocacy groups and organizations providing assistance to families and individuals in need. With this new website, the company can make the customer experience smoother as well as provide a space to post relevant educational information about aspects of American Healthcare.